EFFECTIVE FROM 6TH OCTOBER 2014. Employers and their advisers have had nearly a year dealing the new RTI regulations and electronic filing of payroll information. The first year saw a relaxed approach by HM Revenue and Customs for small businesses (those with less than 50 employees). However the situation is now changing for many businesses and it is likely that HM Revenue & Customs will be collecting significant sums in penalties. Some good news is that payroll software and HMRC systems will be updated for 2014/15 to improve the overall RTI system and reporting. This recognises some of the issues that have occurred in the past year. All new employers starting to operate PAYE after 6 April 2014, as well as existing employers with 10 or more employees, will need to report each time they pay their employees. For a lot of companies this should not represent a problem for once a month payments, but for others with weekly and casual labourers this will not be so straightforward. So clearly these can be severe! Don’t forget that the late payment regime has been in existence for a couple of years already. It is important to pay PAYE etc. on time to avoid penalties which can be severe. The first time you are late in a tax year, it is “ignored”. You will only get one warning letter from HM Revenue & Customs. The next time the penalty is 1% of the tax, increasing to 2% for the fourth time, 3% for the 6th time and 4% for the tenth time. 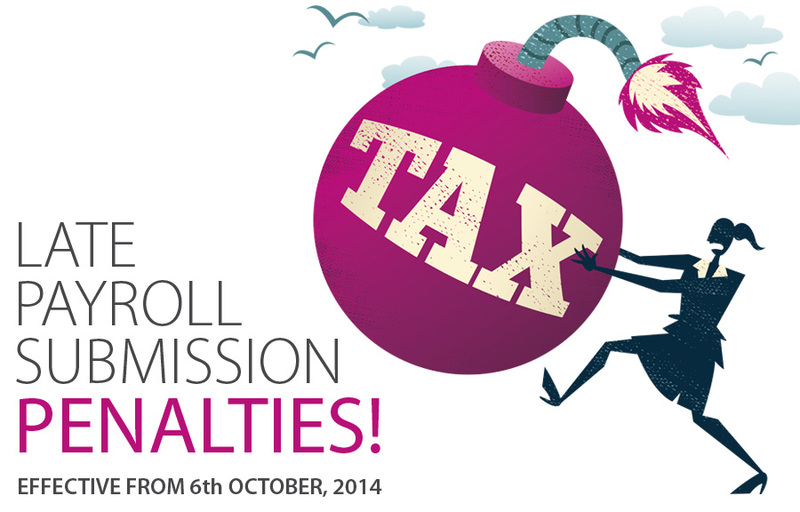 Plus there is an extra 5% fine if the tax is still unpaid after 6 months and another 5% after a year. Interest is also payable on unpaid penalties. So this can all really rack up. A UK based company that was habitually late by around 2 weeks every month has been fined over £10,000 under this rule! There is a way to minimise this impact by virtue of making sure that if you are going to be late on more than 2 occasions, that you make sure the payments are allocated to the current month first, leaving the older amounts outstanding, as then you will not be playing catch-up on the old months and late every time for the current months. PAYE penalties for both RTI submission and late payment should be avoided! If you need help with any payroll matters, please contact us.